Answers to 7 Little Words daily puzzles are given below. Find daily solutions to the most trending puzzle game in the world. You can find free cheats here to solve the game answers. Todays i.e 17/11/2018 ] seven Little Words puzzle clues are Fred and Ethel of ’50s TV – 7 Letters, belonging to the second person – 4 Letters – 8 Letters, Natty Bumppo moniker – 10 Letters – 8 Letters, bag-carrying hotel worker – 7 Letters, one habitually up late – 9 Letters, French saxophonist Guy – 7 Letters and paving stone – 6 Letters. 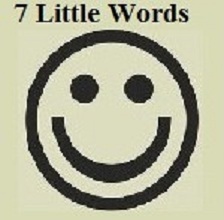 7 Little Words Nov/17/2018: Check answers to the most trending 7 Little Words Daily Puzzles here. November/17/2018 answers are given below with its Clue words.